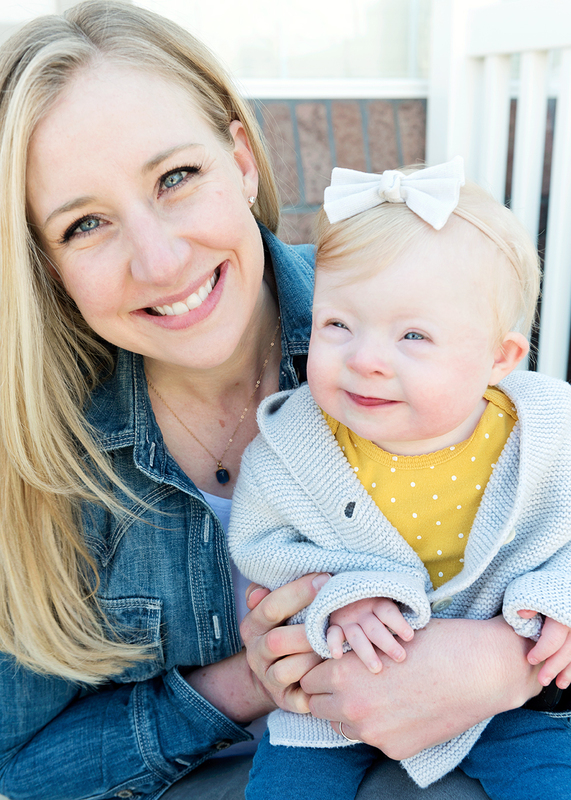 Hereâ€™s something I wrote in collaboration with Wells for the necklace release: After Lydiaâ€™s birth diagnosis, I was overwhelmed by fearâ€”a desperate fear of two words, â€œDown Syndrome,â€� and all the stereotypes that came with them. I thought then that Down Syndrome meant â€œlimitsâ€� and â€œlonelinessâ€� and â€œloss.â€� As I sat in the hospital holding my new baby, however, I began to know what WAS instead of just what I thought would be. And what wasâ€”the actual reality gazing out at me from deep blue innocent eyesâ€”wasnâ€™t scary at all. It was new and unexpected, but it was also deep and rich and enveloping. It was perspective. It was love. It was growth and opportunities I had never dreamed of. And ultimately, it was peace. This necklace reminds me of the hundreds of things I have felt and learned while staring into Lydiaâ€™s beautiful blue eyes. Life with my daughter has taught me to see and love more completely and authentically than I ever have before. It is truly beautiful and a gift.